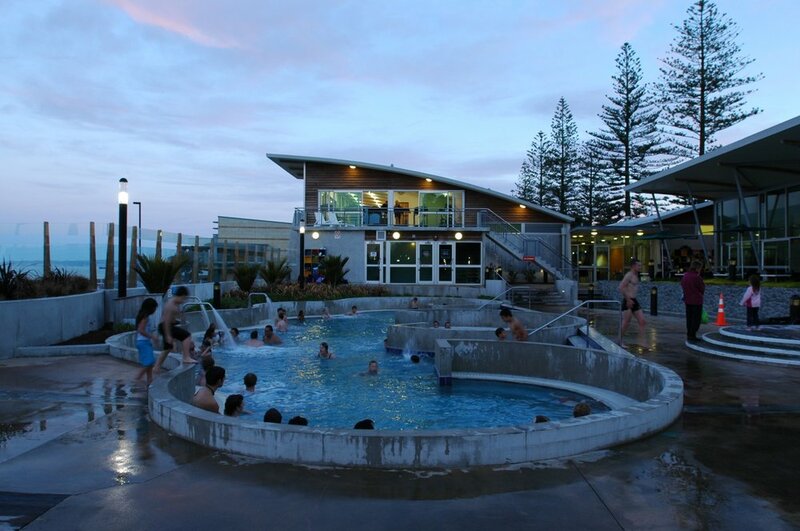 Completed in January 2003, this new community facility, located on the Marine Parade foreshore, replaces the post-war outdoor pools which had fallen into disrepair. 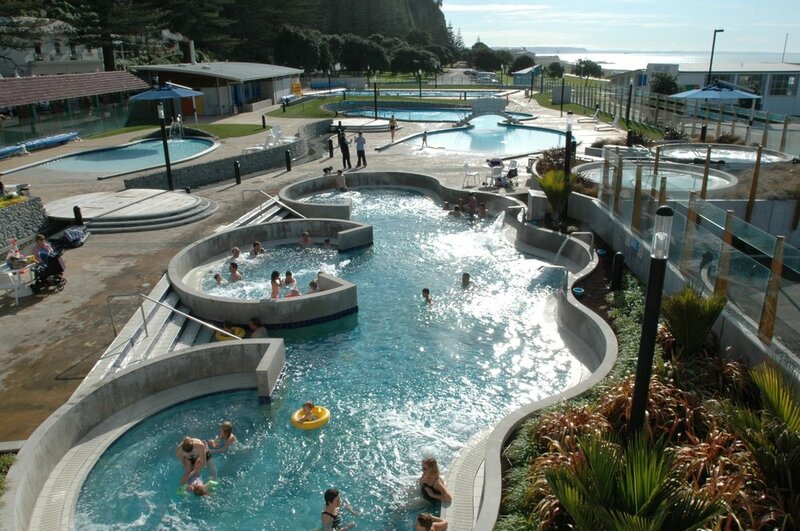 Conceived as an aquatic experience unique in NZ, the complex provides a mix of aquatic, leisure and fitness facilities, and includes a variety of heated pools designed for various age & user groups, and three separate buildings with varying functions. 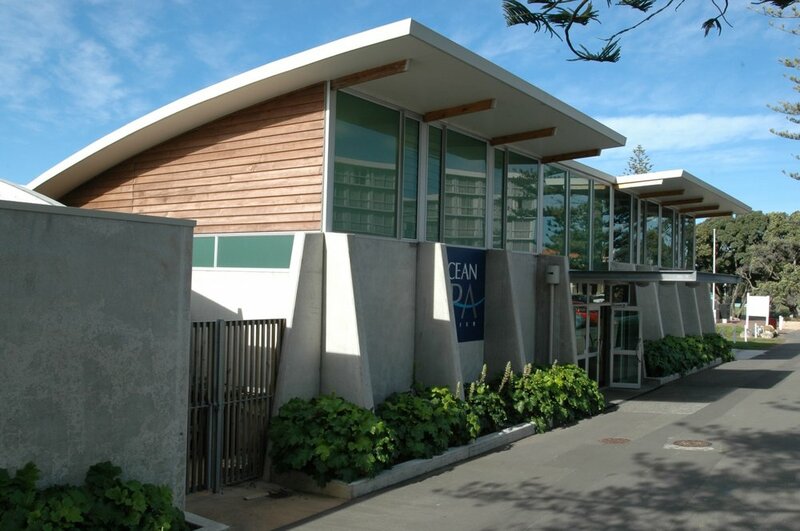 The 2-level main building provides `indoor streets’ crossing at Reception, allowing good surveillance to entrances from Marine Pde, the adjacent Conference Centre, and the existing beach carpark. 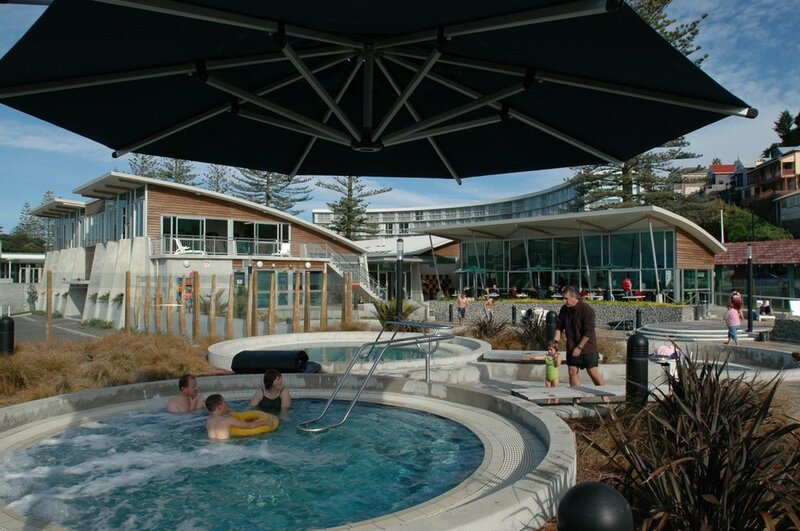 Ground floor facilities include a Gymnasium; Consultant rooms; Staff facilities; 3 Private Spas; Sauna and Steam rooms; Change and Reception spaces. 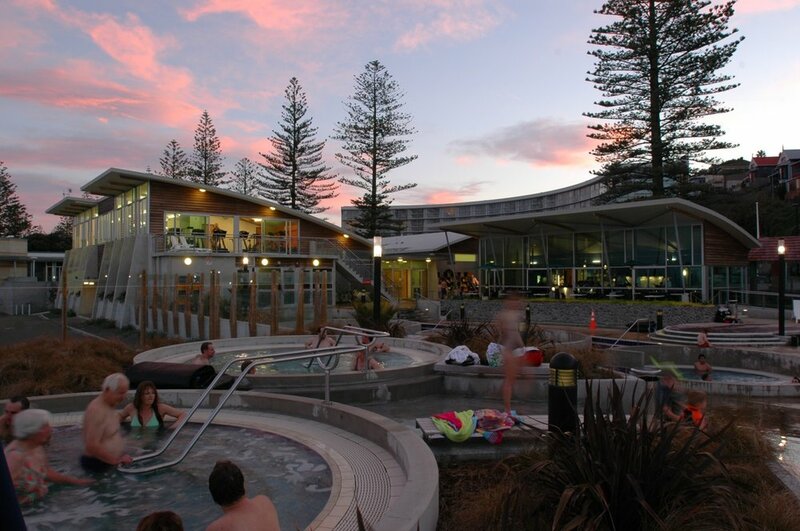 The upper level contains a large mezzanine to the gymnasium with magnificent sea views, which also connects to a large Terrace overlooking the outdoor pools. 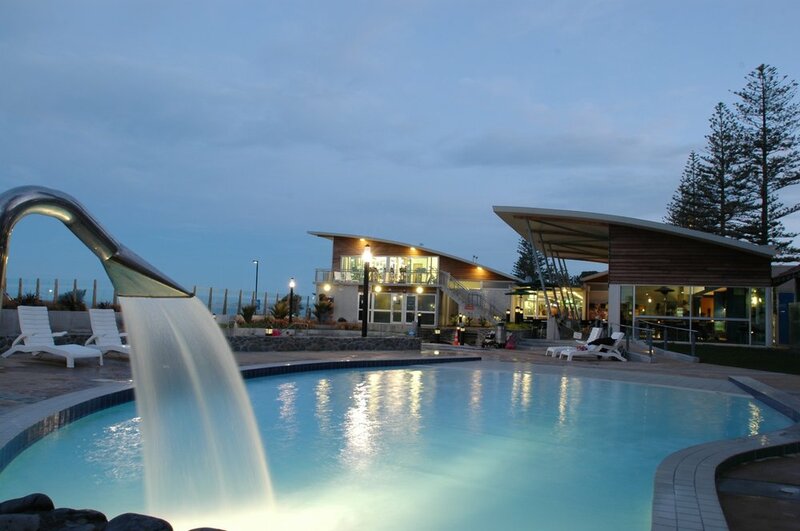 The second and third buildings, a self-contained Café Building and the Pool Plant Building, are located on the Marine Pde frontage. 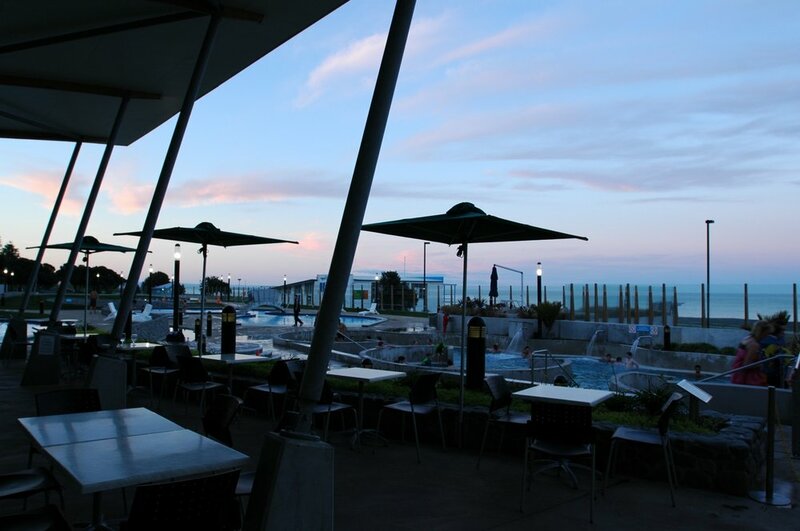 A partially glazed windbreak allowing sea views through the site from the historic Swann Memorial on Marine Parade forms part of the secure perimeter.